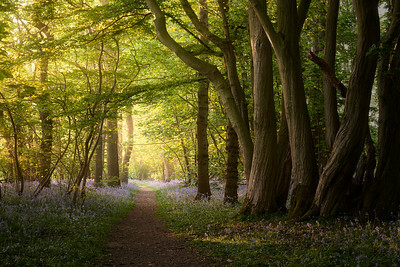 The photographs in this portfolio represent Steve’s favourite woodland images taken around Norfolk. 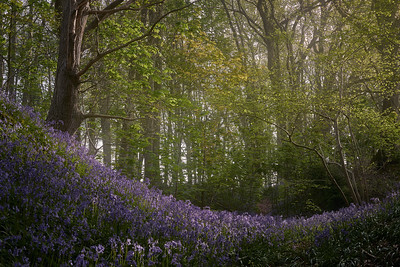 To find out information for a picture and to view full size please click on an image. 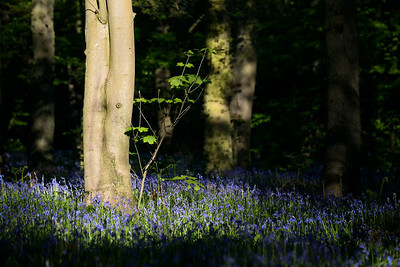 Sunlight illuminating the trunk of a tree with a carpet of blue bells growing around base in Spring. 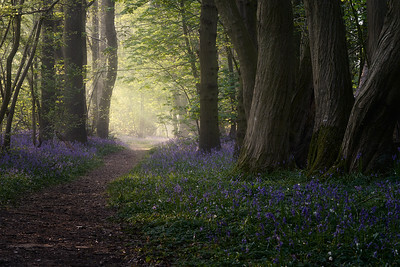 Was fortunate to get some mist seeping into the bluebell woodland at sunrise. 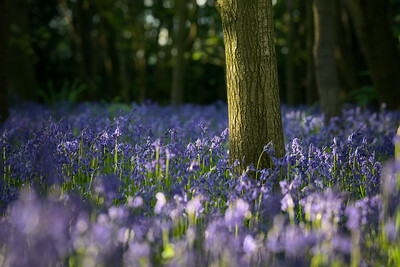 Spring time in the Great Wood at Blickling / Norfolk and the woodland floor is a carpet of Bluebells. 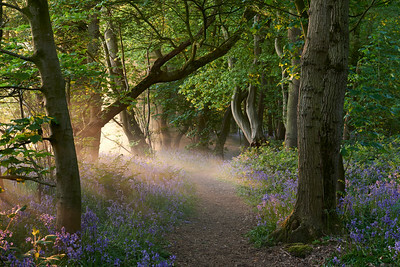 Sunlight shines down from a gap in the forest canopy in this Norfolk bluebell wood and illuminates a new tree growing up from the woodland floor. 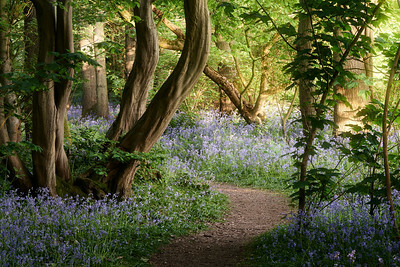 A path winds it's way through the trees and bluebells in this Norfolk Woodland. 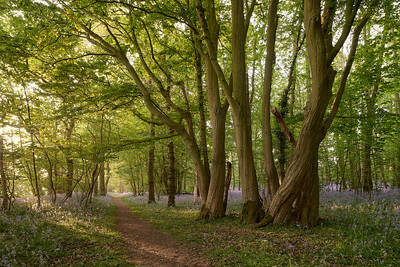 Spring in the Bluebell woodlands of East Anglia. 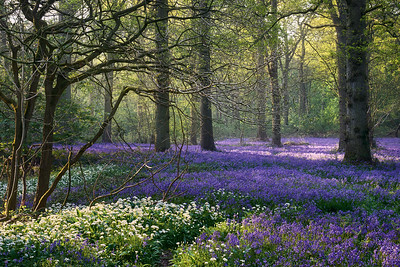 Bluebell woodland in Norfolk / East Anglia. 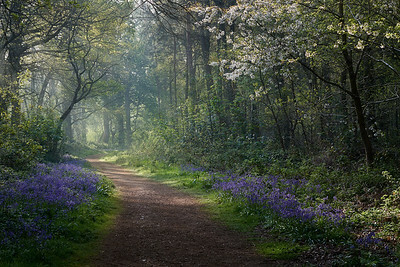 At springtime I can't think of anywhere better to be than in a bluebell wood. 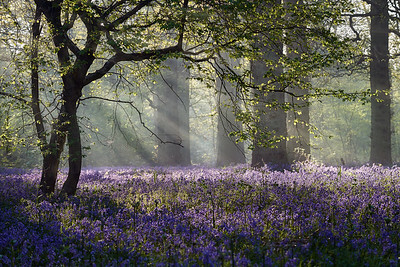 Light rays filter through the woodland and illuminate the carpet of Bluebells on the forest floor. 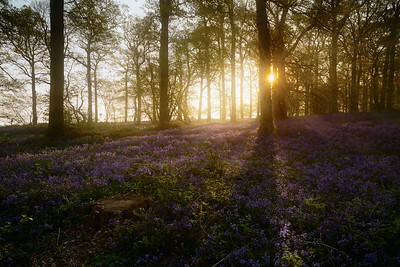 Sunrise on a bluebell woodland in Norfolk / East Anglia. 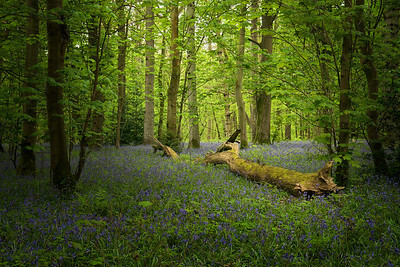 Bluebells and wild garlic carpet the forest floor at the Great Wood / Blickling / Norfolk. 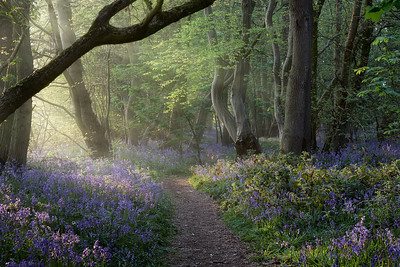 Sunlight breaks through the trees and illuminates the gorgeous bluebells on the forest floor.